January is usually the month when my mood starts to soar into hypomania. Garden catalogs are arriving, filled with loveliness I want for my garden. I make lists, spreadsheets, drawings. 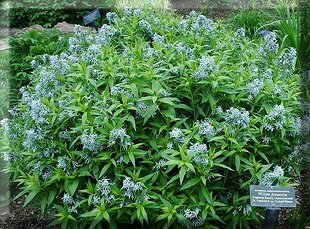 Where can I use amsonia (at right); which variety is best; which nursery has the best price? Oh how I want those 3 lilies from American Meadows! 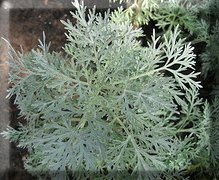 And that darling little false cypress – chamaecyparis obtusa ‘Chabo Yadori’ for my collection of dwarf conifers. 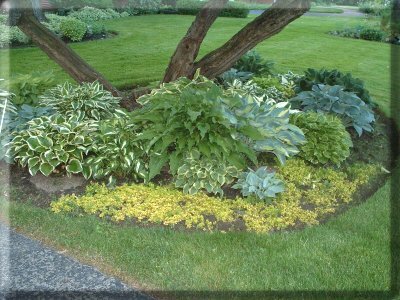 I also collect hostas (there’s my old hosta garden at right, from before I moved), and there is one I really want this year, a new dwarf called Fireworks. It’s expensive.